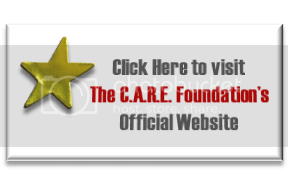 Why Trust Begins with C.A.R.E. Having integrity in your character generates a feeling of trustworthiness to others. It is trust that is one of the most crucial building blocks of any relationship. Trust is a wonderful gift that people of all ages, backgrounds and nationalities rely on for personal safety. It doesn’t matter if it’s a friendship, a teacher-student relationship, or a business relationship, trust allows all parties involved to feel at ease and safe with one another. Having trust opens a person’s mind and heart to new ideas; it allows us to share our genuine selves with others, without fear of being judged or mistreated. Trust also enables us to genuinely depend on one another with confidence. Trust is earned: it can never be demanded, but though a patient process it can be commanded. Most of us have a certain degree of guardedness. We don’t immediately share our innermost thoughts and feelings, and we don’t allow ourselves to be vulnerable until the other person in the relationship has made us feel relatively safe. We at The C.A.R.E. Foundation create the right environment for: trust, confidence, higher learning, sportsmanship, entrepreneurship, passion and drive in areas of: career, academics, recreation and exposure. We understand how to break down the unseen walls and barriers that will get even the most discouraged student for educator back in a mindset for a lifestyle of couples with their dreams of personal success. We understand because we’ve been there, too.